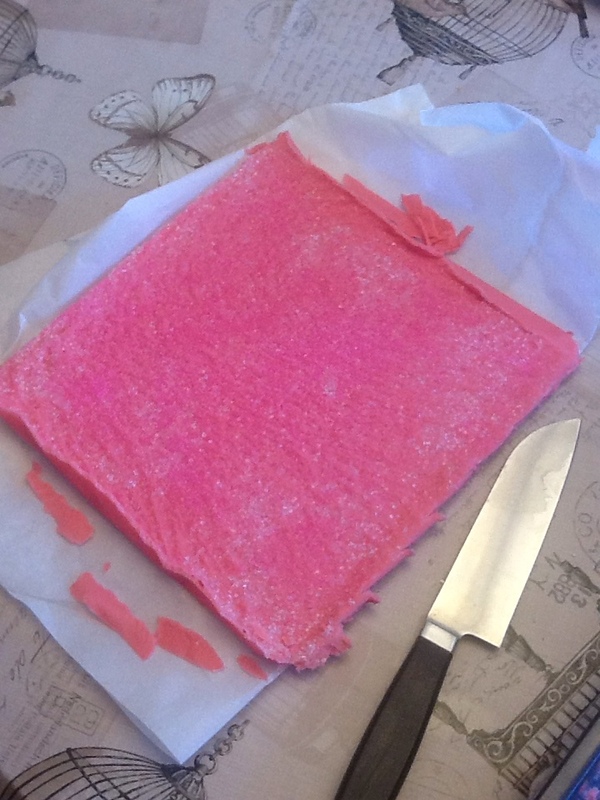 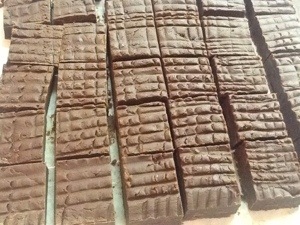 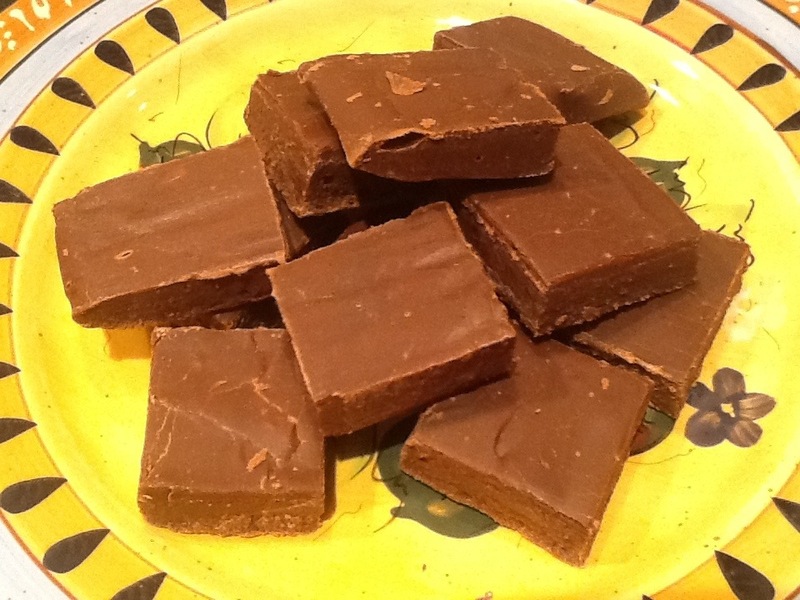 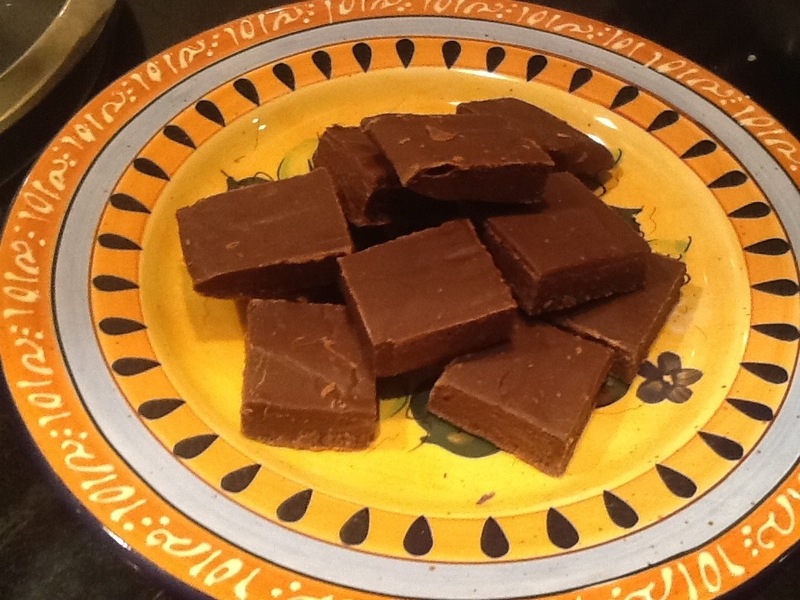 easy fudge | ARTZCOOL'S BLOG! 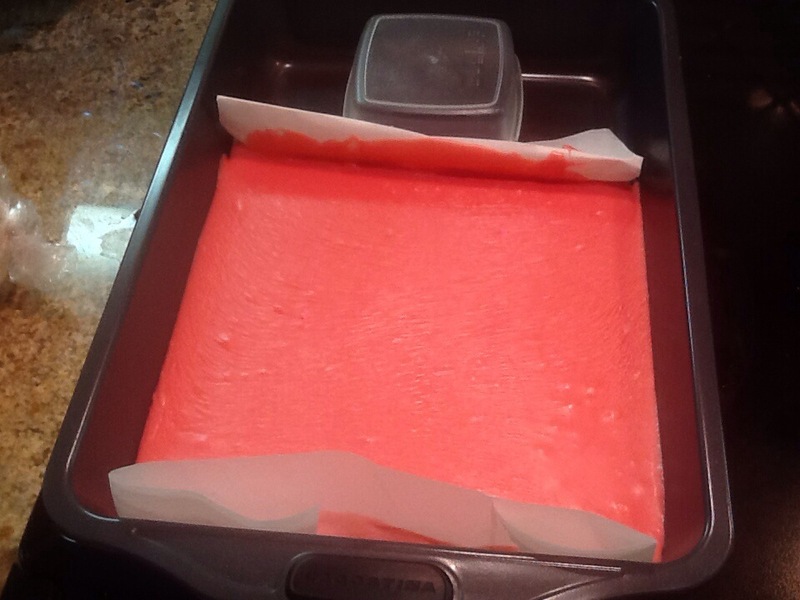 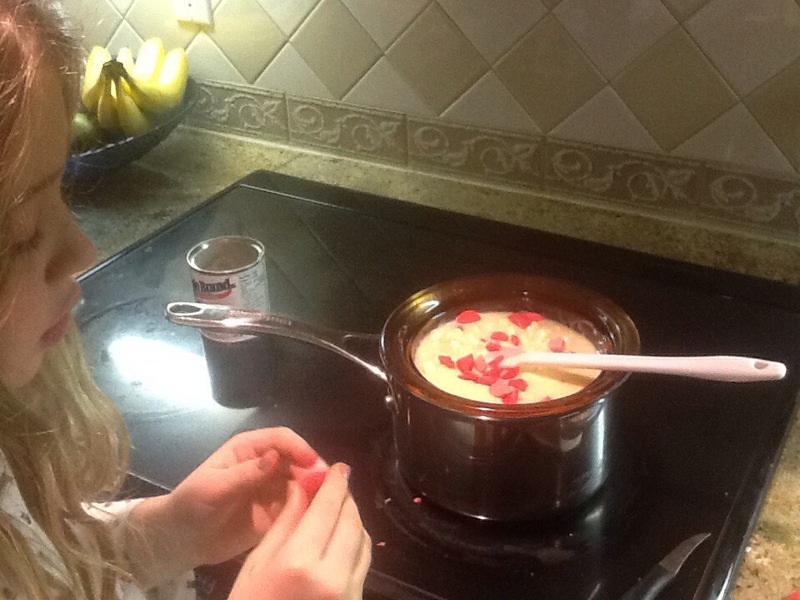 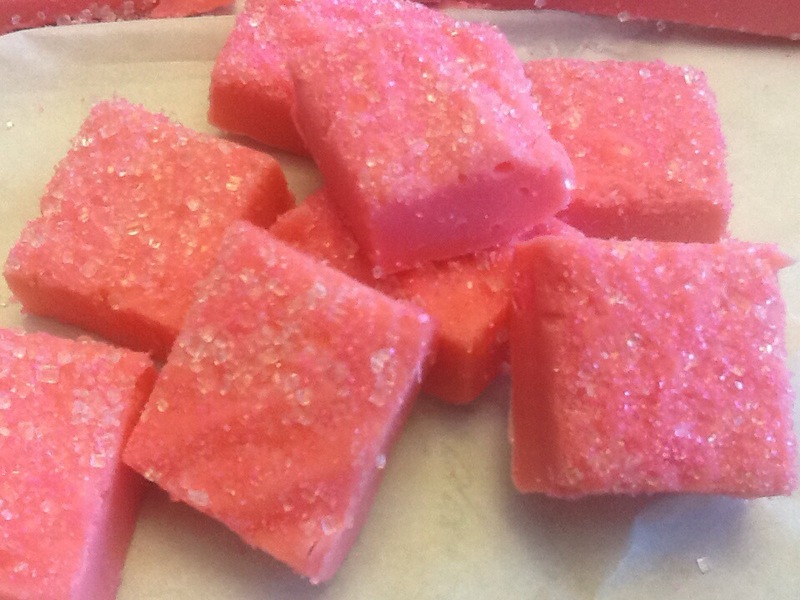 I have made this fudge recipe before, but a couple weeks ago, for Valentine’s day, I decided to make a slight variation using white chocolate. 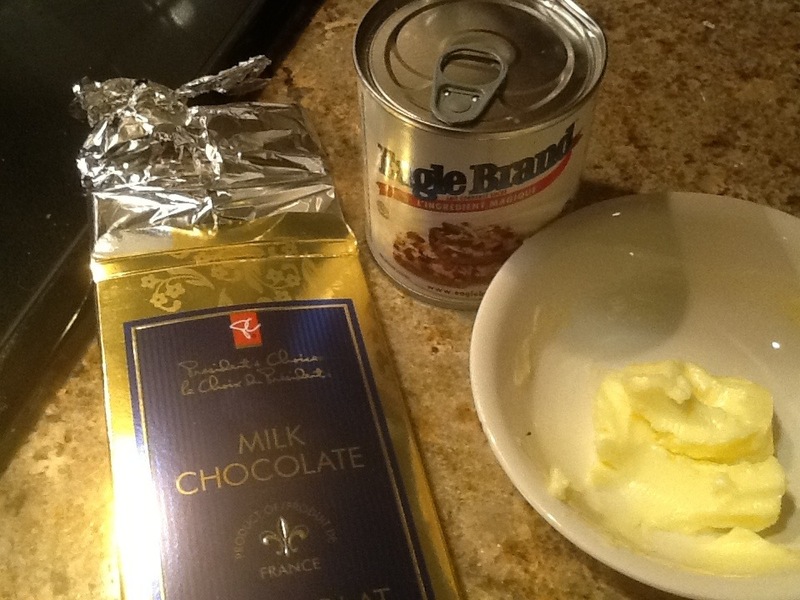 Start by pouring the whole can of eaglebrand into double broiler and mix in chocolate. 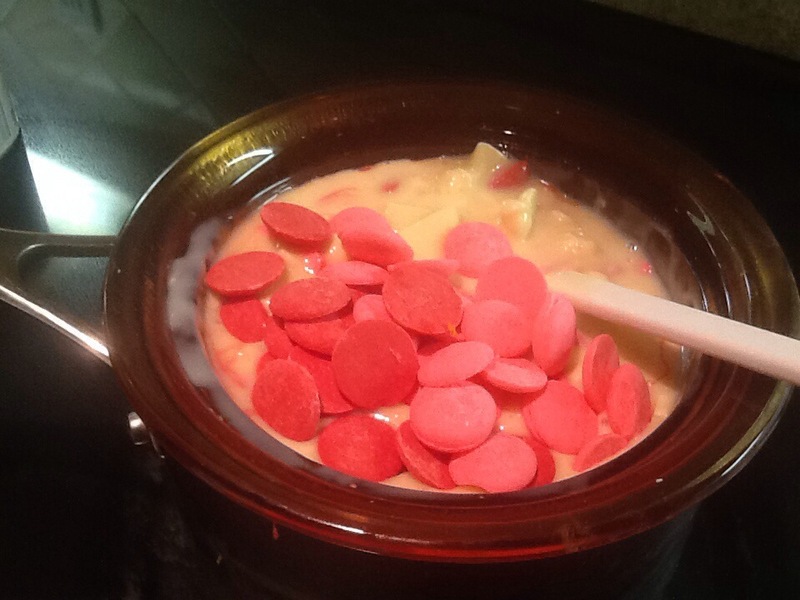 As you can see, my double broiler is a pyrex bowl that fits on top of one of my pots. 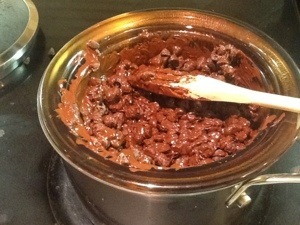 Be sure to stir constantly, as the chocolate on the bottom will melt faster. 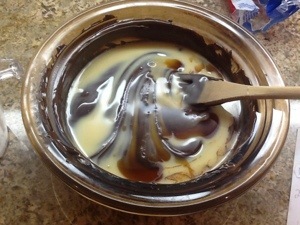 Stir until everything has melted, and the fudge has a shiny look. 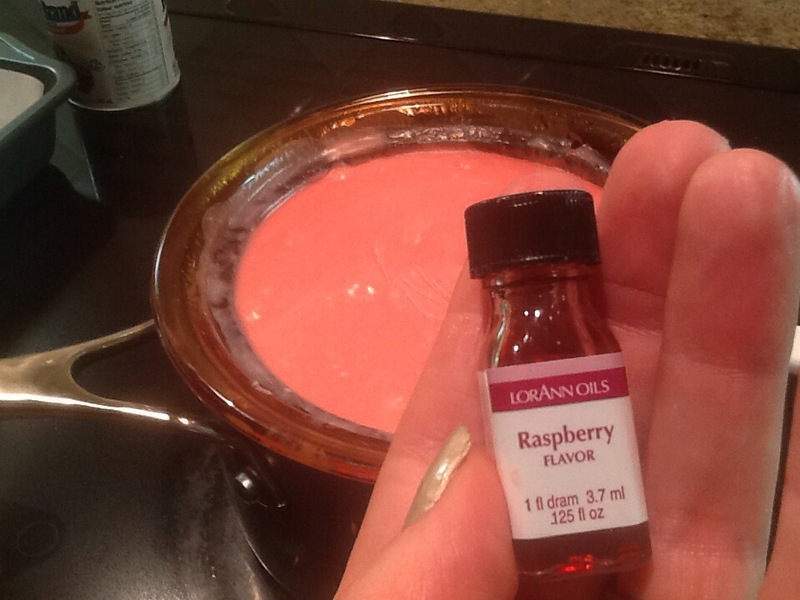 Then, just because I was feeling a little adventureous, I decided to add a little raspberry flavour. 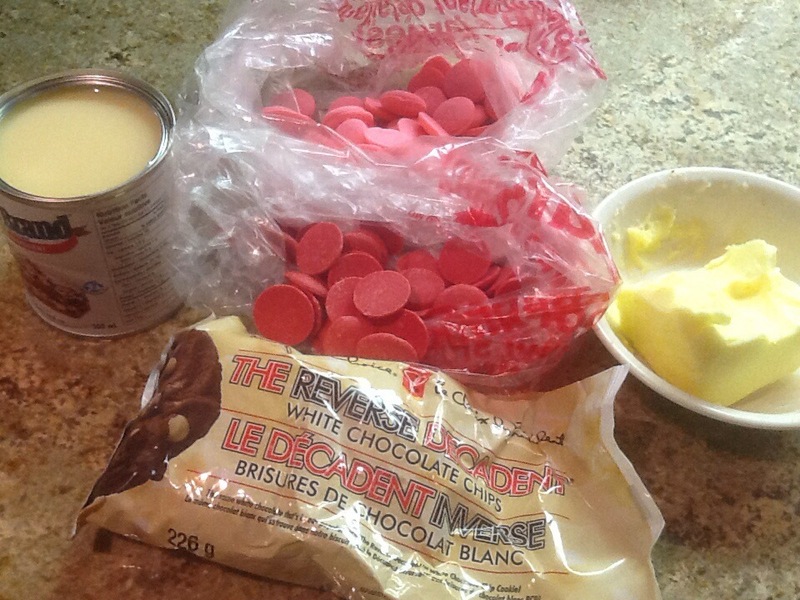 I used the candy flavouring you can buy in Bulk Barn. 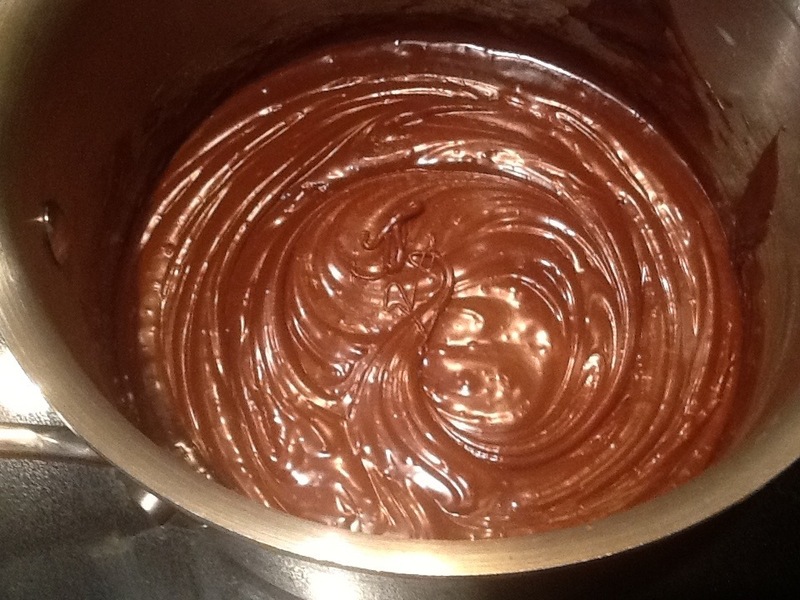 Then, you have to work quickly before the fudge hardens, and pour it into the pan. 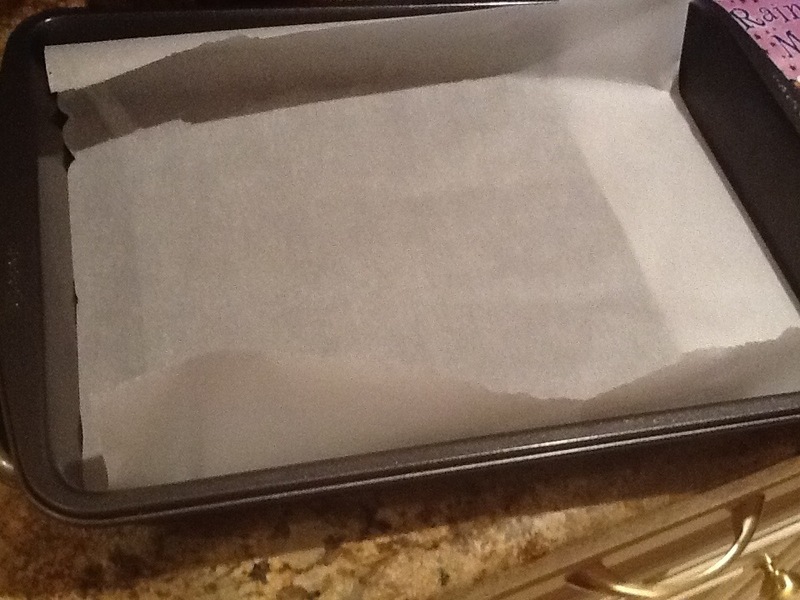 I lined the pan with parchment paper. 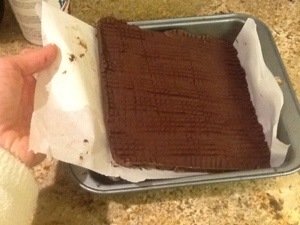 I have learned the hard way that the fudge doesn’t always come out of the pan easily. 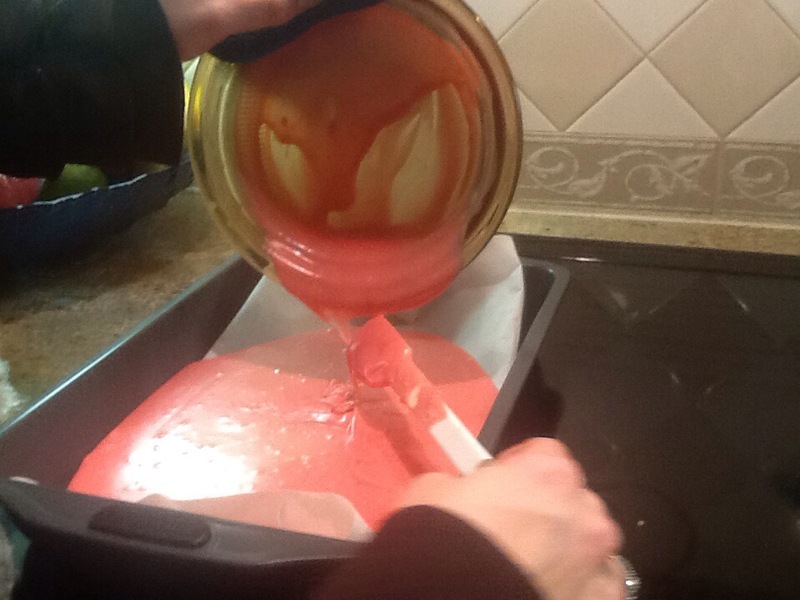 As you can see, because the pan I used was a little too big, I wedged in a container to make it a little smaller. 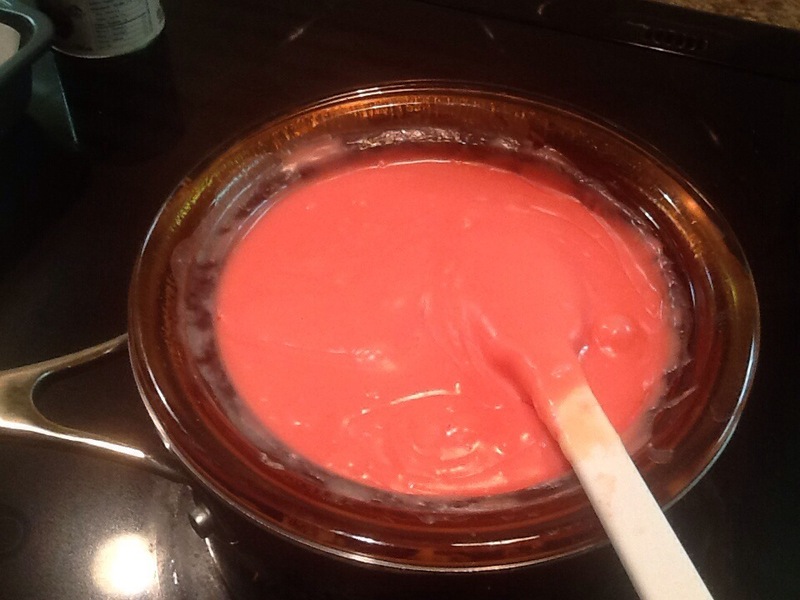 Then, put it into the fridge and let it harden for a couple hours. 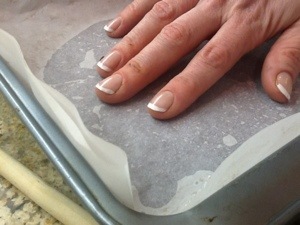 Once it has hardened, lift it out of the pan using the parchment paper. 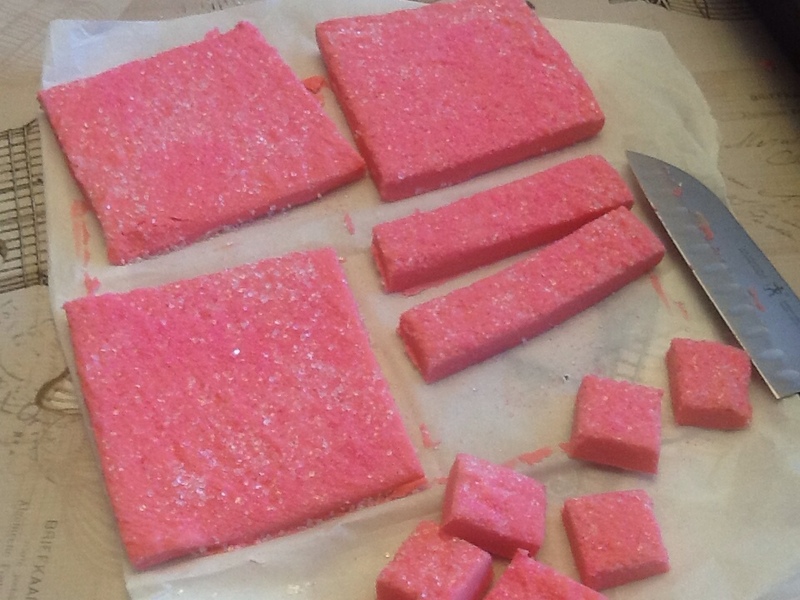 Then cut it into squares. 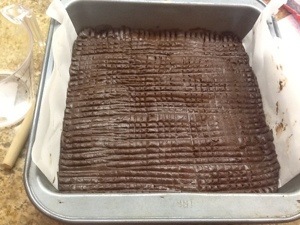 I tend to cut the squares into smaller squares. 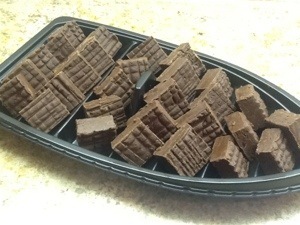 I like it when you can eat a smaller piece all in one bite, that way you don’t have to deal with melted chocolate and sticky fingers. 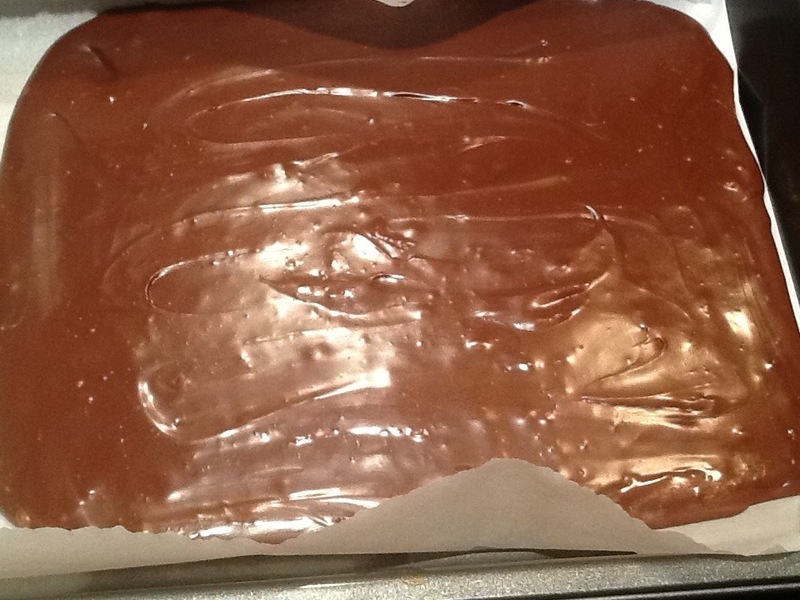 And… You can eat twice as many without feeling guilty…lol. 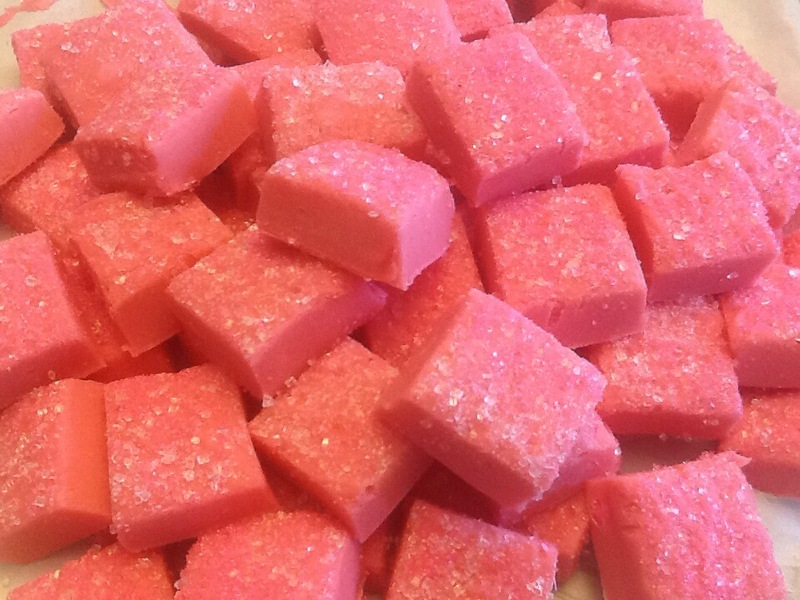 The raspberry flavour tasted pretty good. 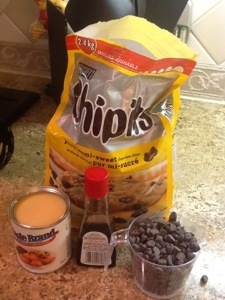 I would try another flavour. 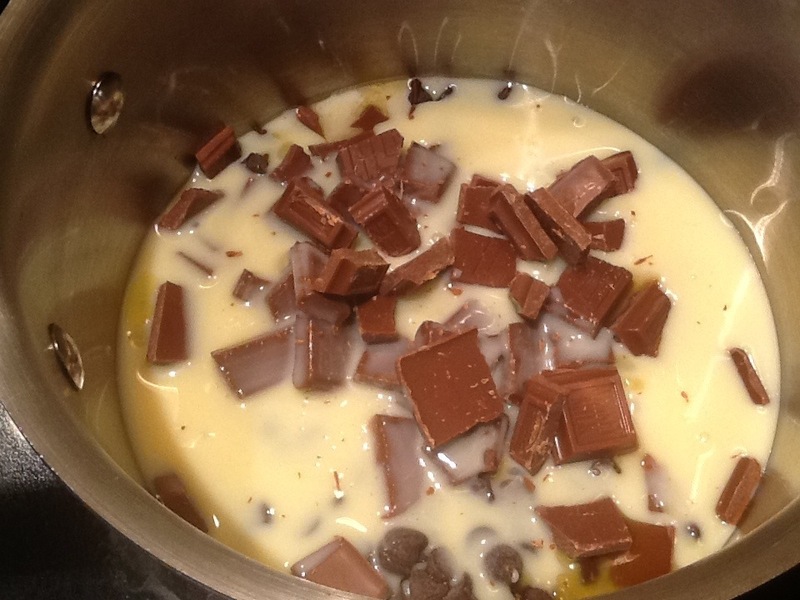 I would also love to try using orange chocolate!